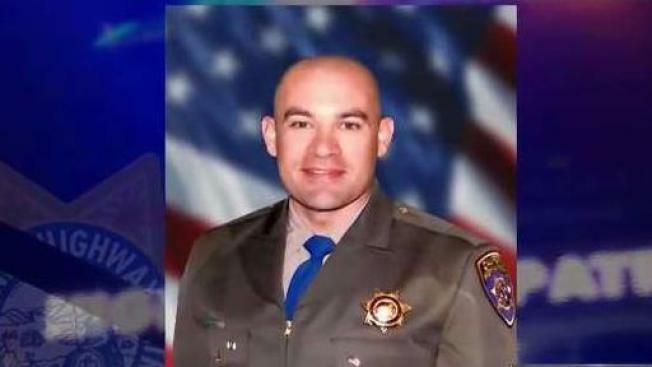 Andrew Camilleri, a California Highway Patrol officer who died in the line of duty on Christmas Eve, will be honored at a memorial service in Stockton on Saturday. Cheryl Hurd reports. Andrew Camilleri, a California Highway Patrol officer who died in the line of duty on Christmas Eve, will be honored at a memorial service in Stockton on Saturday. The 33-year-old Tracy man and his partner, Officer Jonathan Velasquez, were parked on the right shoulder of southbound Interstate 880 in Hayward when a 22-year-old man, who was allegedly speeding until the influence of alcohol and drugs, slammed into the back of their patrol vehicle. Velasquez sustained non-life threatening injuries, but Camilleri, a married father-of-three, was killed. A large turnout is expected for Saturday's memorial service. "We go out there every day knowing potentially that we won't come home, but at the same time we all want to go home," CHP Officer John Fransen said. "It affects us all the way around." A somber bell-ringing ceremony in Sacramento Wednesday honored the life and service of Camilleri, who graduated from the CHP Academy in March 2017. Standing in front of countless CHP officers, grieving family members and friends, CHP's Acting Commissioner Warren Stanley paid tribute to the fallen officer. CHP leaders say the department has received an outpouring of support from the community after the loss of one of their own. Sunday's grisly collision occurred near State Route 92 and the Winton Avenue on-ramp. 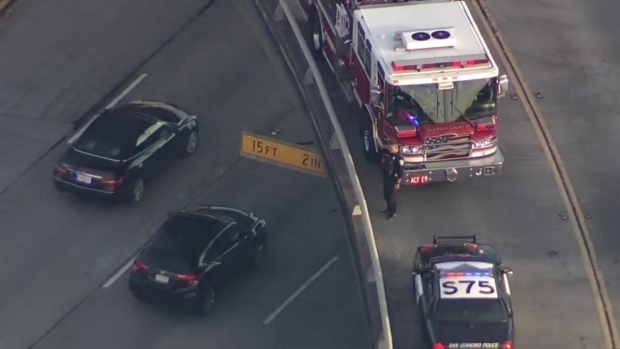 A red Cadillac, which was being driven by a Hayward man at "a very high rate of speed," careened into the right side of the CHP vehicle, according to Asst. Chief Ernest Sanchez. Saturday's memorial will take place at the Christian Life Center at 4303 Christian Life Way, Stockton, CA 95212.